There are 10 pages included each packet in this bundle- a total of 20 practice pages! Each page has a theme with a corresponding image in the top right corner. 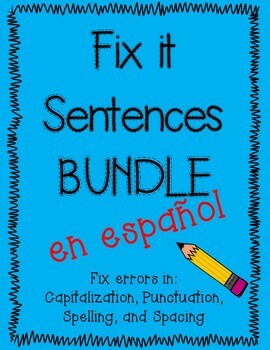 Practice correcting sentences based on capitalization, punctuation, spelling, and spacing.